So, with a nod to the company’s Chinese roots, let’s start with the Mandarin Language Program at Calista Primary School in the heart of Kwinana. The school has used funds donated by Tianqi to employ a dedicated Mandarin Language and Culture teacher who provides weekly classes across all levels, Pre-Primary to Year 6. As reported by SBS News, the low uptake of Chinese language studies amongst students with non-Chinese backgrounds has been identified as a worry considering the significance of China to Australia as an export partner. We hope our contribution to Calista Primary School helps to fill that gap. Now in its second year, the program promises more insights into Chinese culture with plans for a Chinese food breakfast club and the kids adopting a panda through the World Wildlife Fund. 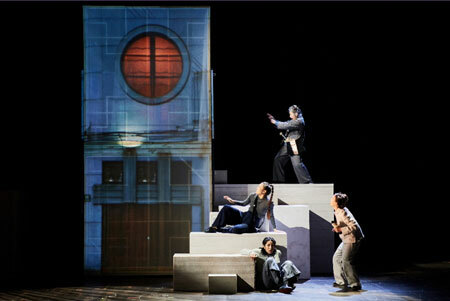 To round out their Chinese cultural education, in 2018 Calista school students—along with neighbouring school Medina Primary—attended a performance of A Ghost In My Suitcase, the story of a young Chinese Australian girl, who travels back to Shanghai on an incredible adventure. Twelve-year-old Celeste arrives in China to scatter her mother’s ashes to find out that her grandmother has carried on the family tradition of ghost catching. We were proud to subsidise this trip to the State Theatre Centre of WA which for many of the children it was a first taste of the theatre. It is a privilege to provide school kids a window into another culture’s language and customs because, to quote the Chinese proverb, ‘Learning is a treasure that will follow its owner everywhere’.